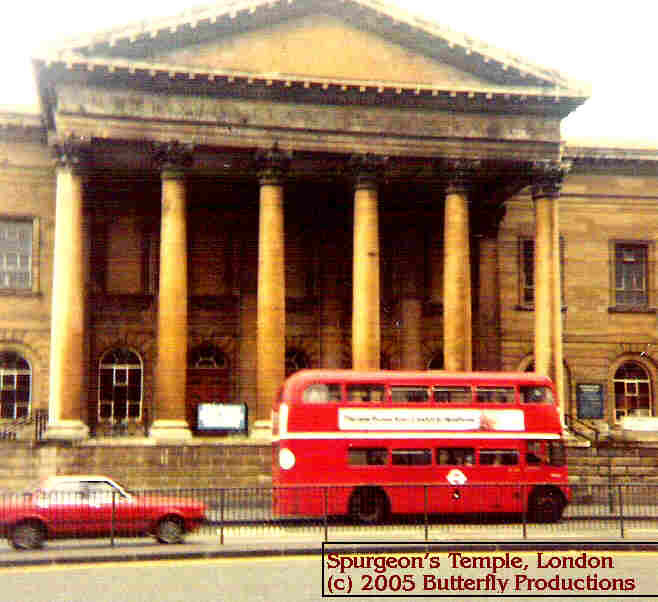 Part II, "Who Should Run the Schools,"
I took this picture of Spurgeon's imposing Greek-style Metropolitan Tabernacle in downtown London, 1982; I was not allowed in, unfortunately, to take pictures of the interior. Another London church, however, that his brother James pastored, I was shown through most graciously by a custodian, even into the pastor's study with a portrait of James.--Ed. Like most Baptists in the 1850s, Spurgeon believed at first that the state should not meddle with education. 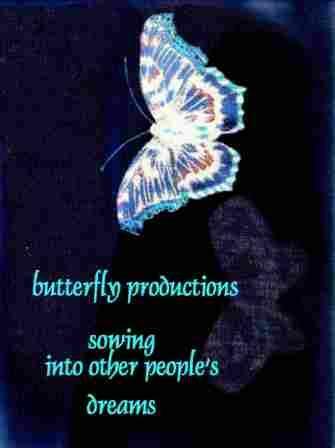 The provision of schools should be left to private initiative--to individuals, societies, and churches. The young needed to be taught the Christian faith, and the state had no more business to take up the religious instruction of children than it had to undertake the religious instruction of adults through an established church. By the late 1860s, however, population growth was hopelessly outstripping the ability of private initiative to provide for education. Baptists reluctantly accepted that the state must set up the necessary schools. To avoid state interference in religious instruction, however, most Baptists decided that schools must be secular. Christian education should be left tot he home and the church. Spurgeon could not stomach this conclusion. In 1870 he presided at a London rally calling for the retention of Bible teaching in state schools. A total severance of church and state in the schools, he argued, was nonsense. "How can religion be eliminated from education," he asked, "unless it be eliminated from the teacher himself?" Spurgeon judged the welfare of the Christian faith to be at stake, and so he was willing to diverge from the prevailing view in his denomination. And in the end, Spurgeon's policy was put into practice. The government permitted local school boards to include the Bible in the curriculum.